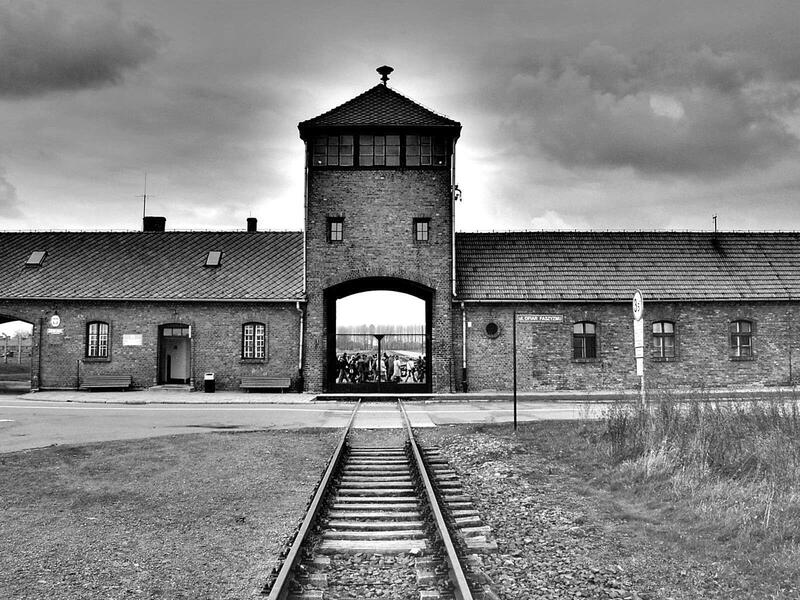 Auschwitz concentration camp is known worldwide as a symbol of terror, genocide and the Holocaust. It was the largest concentration camp in Nazi Germany, that took lives of over 1.1 million people during the 1940-1945 time period. There were three main camps built in the area that created a network. The first concentration camp in Auschwitz was complemented by concentration and extermination camps in Birkenau and Monowitz. Concentration camps of Auschwitz Birkenau became the major site of Nazi Germany plan to exterminate Jewish people. Around 90% of deaths in the camps were those of Jews. Founding the concentration camp in Auschwitz followed the Nazi propaganda and became a site of so-called Final Solution to the Jewish Question. After the Nazi seizure of power in Germany in 1933, the Jewish people were deprived of personal laws, rights to run a business or hold an office. Jewish businesses were to be „Aryanized” which meant confiscation and handing over to Germans. It was an element of the Nazism ideology that combined antisemitism, racial purity, and eugenics with territorial expansionism. Jews living in Germany were forced to emigrate and that was supposed to be the natural solution to rid Germany of Jews. But with the invasion of Poland in 1939 and the beginning of World War II, about 3.5 million of Polish Jews were brought under the Nazi Germany rule. Poland was a country with the biggest number of Jewish inhabitants in Europe. The Final Solution to the Jewish Question was a plan for extermination Jewish population across Nazi-occupied Europe. It was formulated by Nazi Germany leadership and its assumption was a systematic genocide of Jews that was to result in purifying the humankind. The extermination camps built across Poland were to be the main site of implementing the Nazi policy. The most horrific site of the extermination was Auschwitz concentration camp. Approximately one in six Jews killed in the Holocaust died at that camp. The camp was established in 1940 in Auschwitz, a town formerly known as Oswiecim (in Polish), annexed by Germany after the invasion. At first, it was supposed to be a political prison, following Hitler’s orders to exterminate Polish leadership and intelligentsia. However, it soon became a primary concentration camp for Jews. By 1941 almost all of Polish Jews were either in the camps or living in ghettos. In the next two years, the extermination of those unfit to labor had increased to a horrific extent. In 1942 and 1943 an overwhelming majority of the prisoners delivered by an average of 1.5 trains a day were transported directly to gas chambers in Birkenau. The camp in Birkenau was called “the death factory”. Most of the people killed in gas chambers were Jews transported from liquidated ghettos from all over Poland. In 1944, when the War was coming to an end, gas chambers and crematoria in Birkenau were blown up by SS officials to destroy any evidence of the annihilation. The concentration camp in Auschwitz was operating until the end of War. It was decided in 1947 that the Museum and Memorial honoring the victims of Nazism should be established on the sites of camps. The Museum is dedicated to those who died in Auschwitz and Birkenau. Camp’s barracks served as the first exhibition. In 1955 a new exhibition was planned to include inmates mug shots, shoes taken from murdered prisoners, Zyklon B canisters and other objects found in the camps. In general, this is the main exhibition still in use today. In 1959 every nation who had victims in Auschwitz received a possibility to install their own exhibition. The “national exhibition” has been on display ever since and some parts are being renewed from time to time, for example, those of the former Soviet Union. 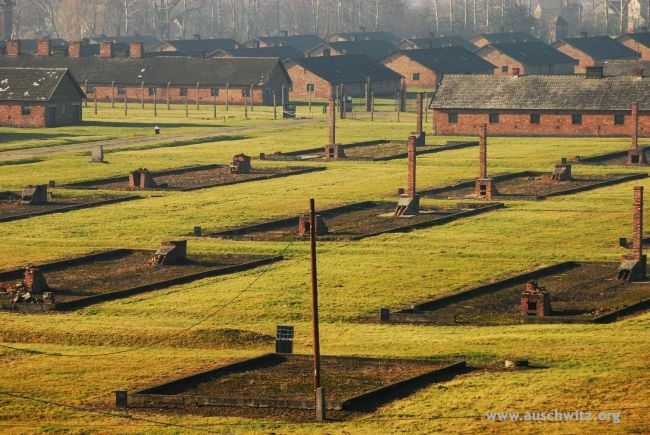 In 1979 Auschwitz Birkenau concentration camps were listed as UNESCO World Heritage Site. There has been controversy around the naming convention of the place since Nazi death camps in Poland were called in international media as “Polish concentration camps”. It was strongly expressed by Polish, Jewish, American and many more associations and politicians that using such term is not only misleading and untrue but also harmful and disrespectful. UNESCO, therefore, added a subheading to the name on the list – Auschwitz Birkenau, German Nazi Concentration and Extermination Camp (1940–1945). It was an important step in focusing on using appropriate nomenclature even though the mentioned term was only meant as a geographic reference. The Museum and Memorial were established on the sites of former death camps. Visit in Auschwitz is, therefore, a moving and may be a traumatic experience. Being one of the most important places in the world commemorating victims of the Holocaust, the Museum draws over a million visitors each year. Auschwitz is located around 70 km from Krakow. It lies on the outskirts of Oswiecim, by the national road no. 933. Two international airports: Krakow-Balice and Katowice-Pyrzowice are situated within several dozen km of the Museum. 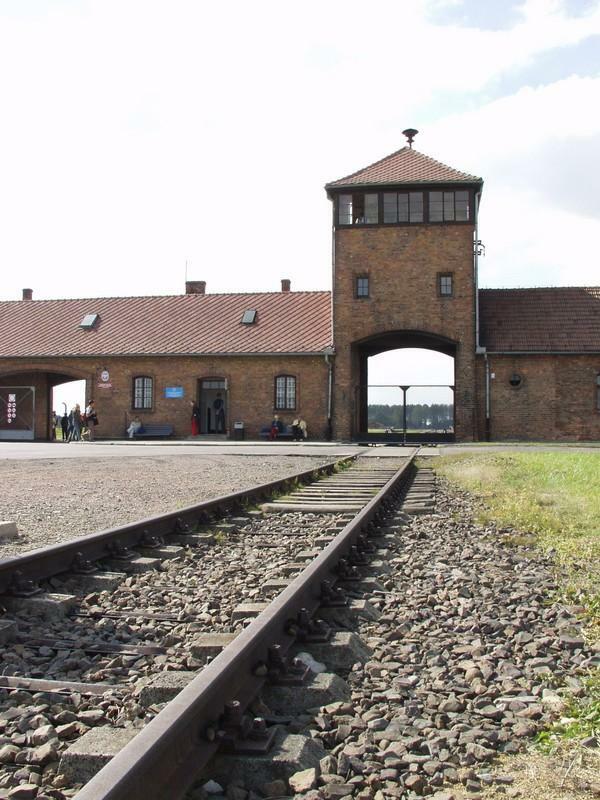 Both Auschwitz I and Auschwitz II-Birkenau have paid car parks for visitors. You can enter them from Stanislawa Leszczynska 16 street. There are free buses that shuttle from Auschwitz I to Auschwitz II-Birkenau, as they are located 3,5 km apart. Also, taxi transportation operated by HELO TAXI company are available in front of the Museum entrance. It is also possible to walk between the two objects. By choosing this option, you’ll see the original loading ramp and – Alte Judenrampe, where prisoners’ transport and selection took place. Private toursPrivate tours from Krakow to Auschwitz are provided by many travel companies in the city and are very popular among Krakow visitors (example: https://krakowdirect.com/auschwitz-tours/). They offer direct transport to the Museum, a private car, entry pass to the Museum and a guide. This type of tour usually includes hotel pick up and drop off as well. A ride from Krakow to Auschwitz takes about 1 hour 15 minutes. Prices vary depending on the company. A train departs each hour from Krakow Glowny (Main Station) to Oswiecim. A train ride from Krakow takes up to 2 hours and costs around 20 PLN one-way. Tickets are available to purchase at the train station or in advance via online system. You can search connection on: https://rozklad-pkp.pl/en. 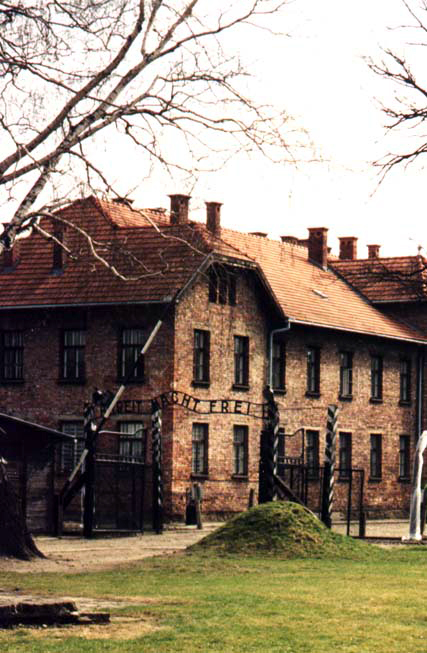 Auschwitz Museum is located about 2 km from the railway station in Oswiecim, from where you can take a public bus. Several bus carriers operate between Krakow Glowny (Main Station) and Oswiecim. You can search connection on website: http://rozklady.mda.malopolska.pl/?lang=eng#krk. The ride takes around5 hours and costs up to 15 PLN one-way. Minibus and PKS stops are located in the vicinity of Museum. As the sites in Auschwitz and Birkenau are very well posted, it is also possible to walk on your own. However, it is recommended to visit the place with a guide for getting more valuable knowledge of Auschwitz history. Admission to the Auschwitz Museum is free of charge. Entrance tickets should be booked in advance. Due to large numbers of visitors, daily limits apply. There is very well-presented system of plaques with historical information. Some of the plaques has QR codes – by scanning them, you can download and listen to testimonies of former prisoners who talk about particular locations. Due to huge interest and number of visitors, authorities of the Museum introduced a restriction: between April 1st and October 31st entry to the Auschwitz Museum only for guided groups between 10 a.m. and 3 p.m. (this does not apply to the Birkenau campsite). It means that if you wish to visit Auschwitz in those months and hours, you will have to buy the ticket to join one of the guided tours and will not be allowed to walk the sites on your own. Above restrictions do not apply between March and November, when you are free to choose the way and time of visiting the camps and will not have to pay for the entrance. Please note that in both cases prior reservations of entry passes and guides (if needed) are advisable. ** It is also possible to request a separate guided tour for groups of 10 to 30 people. Visit http://auschwitz.org/en/visiting/guides/ to learn more. December 8 a.m. – 2 p.m.
January, November 8 a.m. – 3 p.m.
February 8 a.m. – 4 p.m.
March, October 8 a.m. – 5 p.m.
April, May, September 8 a.m. – 6 p.m.
June, July, August 8 a.m. – 7 p.m.
* Visitors are allowed to stay at the Museum for 90 minutes after the above closing hours. *** Please bear in mind that visiting Auschwitz Birkenau may be a traumatic experience, therefore visiting with children younger than 14 years old is not recommended. The Museum is open seven days a week, all year long, except for New Year’s Day (1 Jan.), Christmas Day (25 Dec.) and Easter Sunday. How long does a tour of Auschwitz take? Can you go to Auschwitz without a tour? Where should I stay to visit Auschwitz? Which city is closest to Auschwitz? Can you visit Auschwitz on your own? Where do you fly into for Auschwitz? I was there last year and I'm going to do the trip this year, this time with my son. I guess It was really shocking, even if I knew what to expect in a concentration camp. I guess that children under 15 should not be taken there. I didn't take any guide so I was walking by my own and I do not regret that as I could spend there as much time as I wanted. Before going to the Auschwitz concentration camp, I was visiting also Krakow (the city nearby). I was in Kazimierz (Jewish Quarter) and in a former Jewish ghetto in the district called Podgorze. As my mother was half Jewish, I am strongly interested in Jewish culture and history. The south part of Poland, especially Krakow and its surroundings turned out to be a perfect place to do this. My visit in Auschwitz concentration camp was unforgettable as well. This was the second Polish concentration camp in a row for me (the first was Majdanek near Lublin) and the 6th in Europe – I was in Serbia and Ukraine before. Anyway, Johnny I think you've missed a lot by not taking the guide in a camp. It wouldn't be so interesting without the lady that showed our group the camp step by step and explained everything how it went. Actually, she said that she's been working in the camp for 25 years and she's already spent the most of her life in the concentration camp. Of course, you can read about all of theese things online but it's way better to have the live narration while you are walking through the camp. I also wouldn't agree with the claim that children under 15 should not be taken there. I guess they should be aware of this, it's like the part of growing up and getting an experience in life.